The transfer of photos, documents, or information among various platforms or devices is not always an easy thing. Maybe you send from your phone to your own email a photo or screenshot to have it on your computer, or you may upload images to a cloud service, like Google Photos or Dropbox, then download them on your PC. 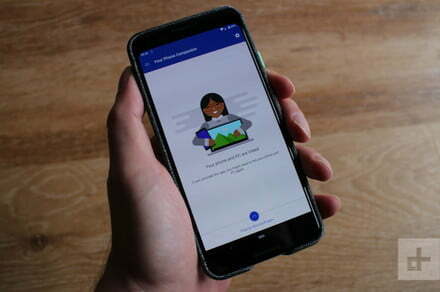 If you didn’t know, with the app Your Phone Microsoft you can link your Android phone to your Windows computer, and simply drag and drop photos or screen captures. The application also allows you to receive and send text messages from your phone on your computer. In this handy guide we’ll show you how to set it up, we’ll explain what features you have, and how you use Your Phone to flip through photos. Basic requirements: If you have a PC or laptop with Windows 10 Update April 2018 (version 1803) or later, and a Android phone with Android 7.0 Nougat or later, you can use Your Phone Microsoft. Both devices must be connected to the same WiFi network. First, you must download and install the app to Your Phone for Windows 10 from the official site of Microsoft. 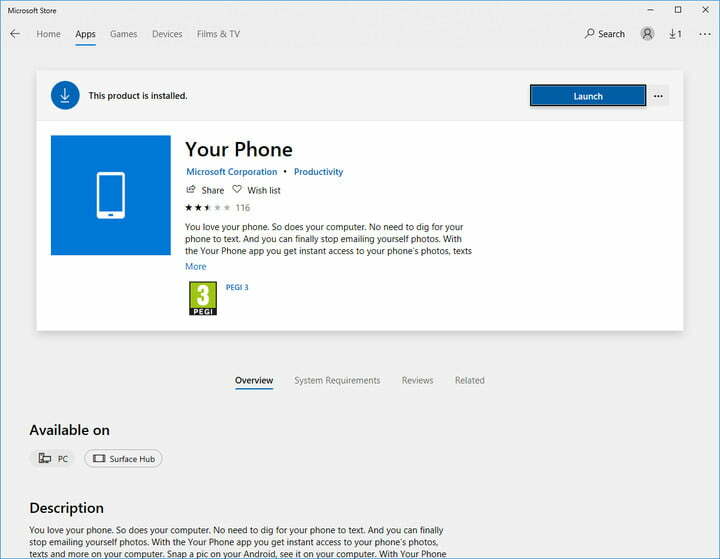 You can also find it by typing “Your Phone” in the search bar, or by clicking on the Start button in the bottom left and scrolling down to start the Microsoft Store. When you find the page of Your Phone, click Get and follow the instructions to install the application. When you’re finished, you can start the application and you will be prompted to also install it on your Android phone. The easiest way to do this is to enter your phone number and you will receive a text message with a link to install the application. Alternatively, you can visit Google Play Store and write “Your Phone Companion” into the search bar to install the application on your phone. 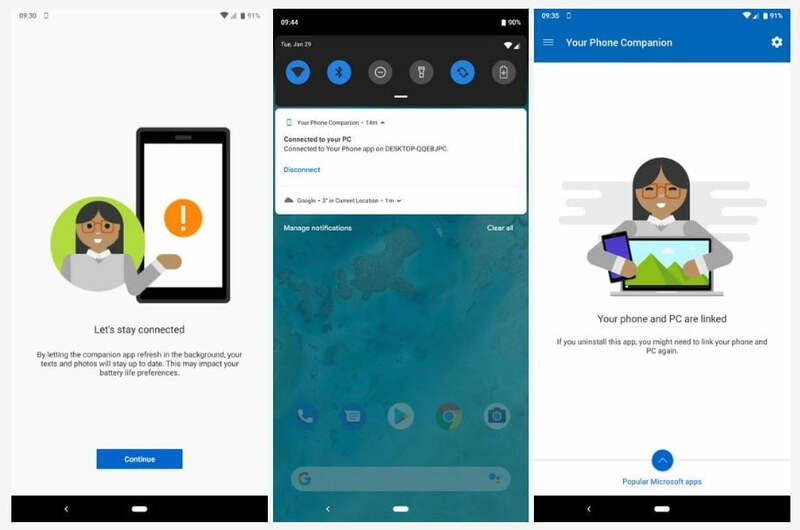 The two applications should be synchronized, and you will be asked to grant various permissions on your Android phone to pair the devices and give access to your photos, texts, calls and contacts. Once you’ve granted access, you will see that your phone appears in the application Your Phone Windows on your computer. You can click to go directly to Photos or Recent Posts, and there is also a page of Settings (Settings). In the computer, the symbol of the application of Your Phone appears in the bottom right of the screen like other notifications. The Photos section contains the latest 25 photos or screen shots that you took on your Android phone. You can click on any of them to share them or edit them, or you can simply drag and drop (drag and drop) to copy them to your computer. The Messages section includes your latest 15 conversations, and allows you to write and send new text messages using the keyboard of your computer. As just mentioned, the photos and screen captures are limited to the latest 25 images taken on your phone. When you take a new one, you can tap on Update (Update) for the most recent list. A quick look at the user comments on this application from the Microsoft store and in the Google Play Store, makes it clear that the problems we have encountered are not unusual. 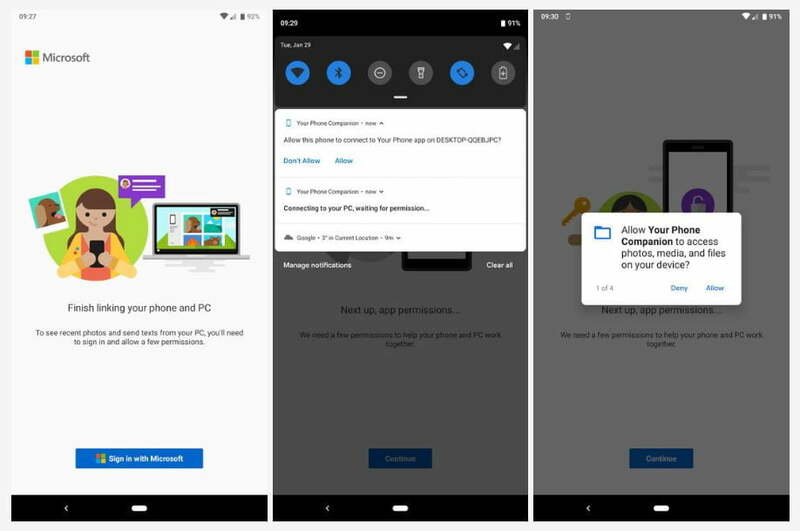 Microsoft suggests that you leave the application Your Phone running constantly to keep your phone and your computer to be permanently connected, but also recognizes that this will affect the battery life. For many, the ability to transfer photos and screenshots without having to find and plug in a cable it is main attraction of this service, so we believe that there is no need to leave the application running constantly, but you can just open it when you want to transfer an image. It is assumed that the support of this application for iOS will also come in the future, but there is still no signs of this at the time of writing this guide.